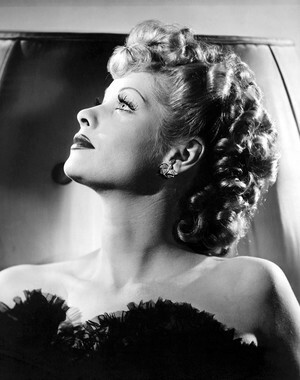 Waitin' On a Sunny Day: Happy Birthday, Lucille!! 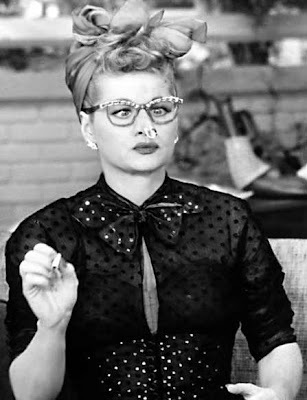 I love Lucy. I really do. And on her birthday, it's only fair that I wish her the hugest happy birthday ever! 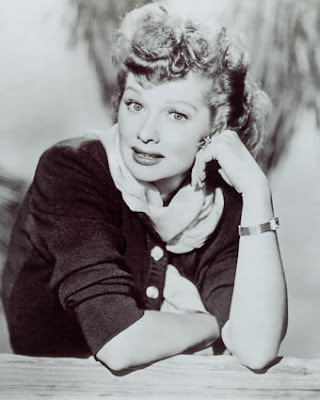 ;D Also, I've decided to share with you 6 reasons that I love her so much, the same way I did on Stany's birthday! It's the obvious one: she always cheers me up. 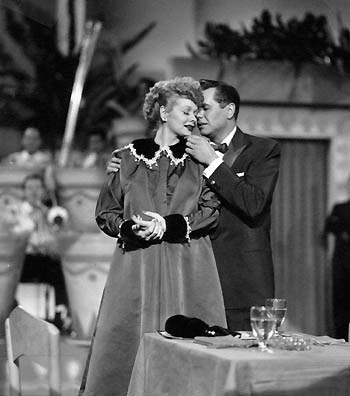 Of course she makes me laugh when I watch I Love Lucy or The Lucy Show but it's the fact that she always cheers me up whenever I watch her in any of her non-comedic roles that really endears her to me. ...apparently, when they shot this scene they decided to re-shoot it because they were embarrassed that they'd been emotional and cried in on camera. However, in the cutting room they decided to keep it. How beautiful is that? It makes the scene even more special! Her laugh and her smile. I looked through my [rather large] folder of Lucille photos, and I couldn't find any that displayed her smile just right. The above photo is the nearest I could get...and even that doesn't fully portray the utter infectiousness of her smile. When she smiles, I smile. When she laughs, I laugh. I could make a separate reason for her laugh, but smiles and laughs are connected, so there's not much point. 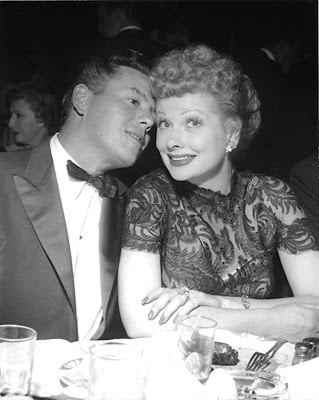 If you love Lucy, you'll know exactly what I mean about her smile and laugh. You didn't think I was going to miss out her red hair, did you!? Some of you may know that I adore red hair. I think it's the most beautiful colour of hair in the world, and I will always be sorely disappointed that my hair doesn't even have a tinge of the glorious colour. 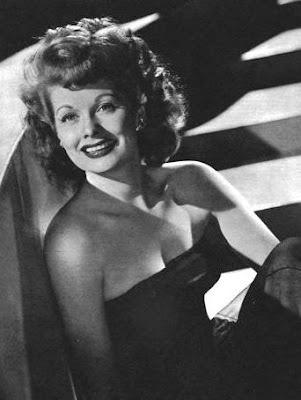 Many of my favourite actresses were [natural] red heads: Deborah Kerr, Greer Garson and Maureen O'Hara (to name but a few!). 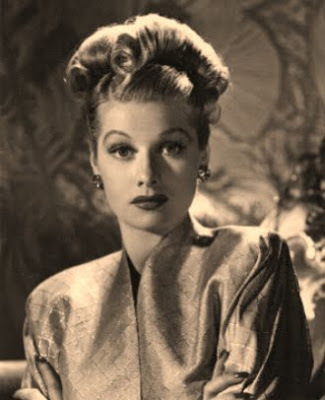 Lucille Ball is without a doubt my favourite unnatural ( ;D ) red head! 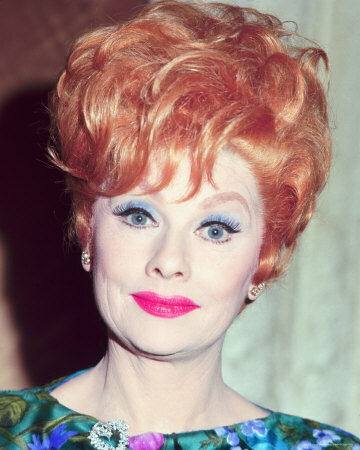 I usually don't think that red hair suits anyone but naturals, but it suited Lucille like no one's business! 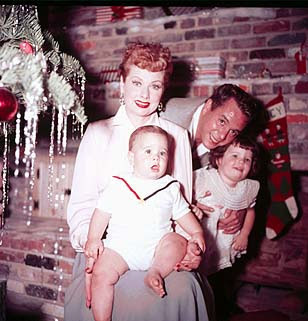 I'll leave you with this photo of Lucille and Desi with their daughter, Lucie, and their son, Desi Arnaz, Jr.